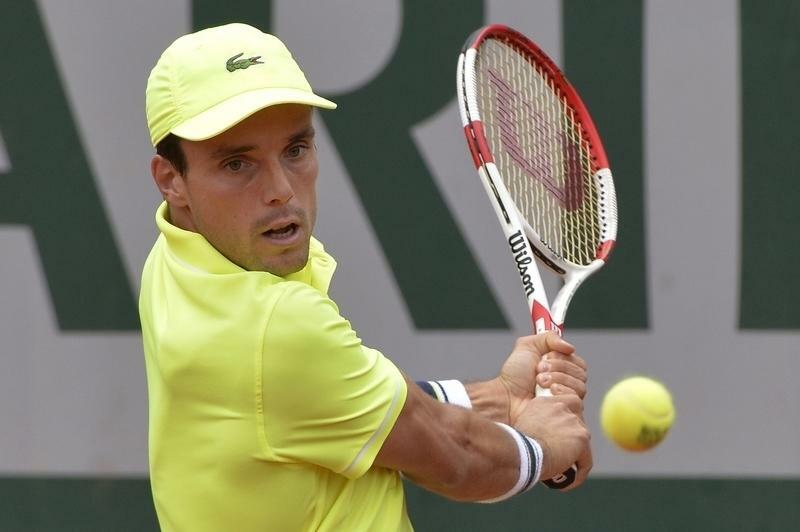 Will the slow grass in Rosmalen suit flat hitter Bausista-Agut? "The Spaniard plays in an untypical way for a player from his neck of the woods, with flat hitting on both sides, which should suit the grass courts well..."
Last week's wagers were rather unfortunate, as my [20.0] pick in Halle, Philipp Kohlschreiber was a [1.02] in-running shot to make the final, but blew his chance against Alejandro Falla in the semis. At Queen's I chose the wrong one of the two I was considering - Lleyton Hewitt and Feli Lopez - and of course the latter went on to lose in a third set breaker in the final to Grigor Dimitrov. This week the Topshelf Open is somewhat lacking in star quality, unless you enjoy watching David Ferrer using his brick wall skills on a grass court and the Spaniard is the clear favourite in Rosmalen at [2.2]. This is largely because conditions in the south of the Netherlands at this tournament are on the slow side for grass and Ferrer will fancy his chances of landing a third title here and improving his 12-2 Rosmalen record. Ferrer enjoys the fact that he can play pretty much his usual baseline game here, but he was stunned in round one a year ago by grass specialist Xavier Malisse, who is now, sadly, retired. He could be vulnerable early though and first round opponent Joao Sousa is far from a gimme, as he showed when pushing Roger Federer close last week in Halle, where it's much quicker. In the top seed's half the likely threats to Ferrer could come from any of Igor Sijsling, Thiemo de Bakker, Lukas Rosol, Benjamin Becker, Benoit Paire or Marcel Granollers. The bottom half seems wide open, with defending champion Nicolas Mahut an obvious choice and other possibilities include Kenny de Schepper, Jurgen Melzer, Alejandro Falla, Roberto Bautista-Agut and Fernando Verdasco. De Schepper is good on grass, but he's never played here before and it could well be too slow for him, although Mahut showed last year that an attacking grass court game can bring rewards at this venue. Falla had a great run at Halle last week in making the final, but he's proved himself on grass before as well. The negative for him would be fatigue though and he may well withdraw from the event. I'm going to go out on a limb here a little and side with Bautista-Agut at an attractive price of around [21.0]. The Spaniard plays in an untypical way for a player from his neck of the woods, with flat hitting on both sides, which should suit the grass courts well and although he isn't hugely experienced I think he may prove tough to beat if he gets going. A first round draw against Daniel Gimeno-Traver looks perfect, with DGT having won just two main draw matches on grass in his career (2-13) and he's lost his last eight on the bounce on the green stuff. His quarter looks weak, with Mahut and De Schepper the main dangers, but it looks anyone's section, as does the adjacent one, with Verdasco and Melzer hardly the most reliable of performers. In England they play at Eastbourne and from personal experience at this tournament it is very windy and makes picking winners less about match-ups and more about who handles the wind the best on any given day. We had a good winner in this tournament last year with Lopez landing the honours at [17.0] and Feli is back to defend his title - assuming he's up for it after that Queen's Club run. This event looks wide open too, with top seed Richard Gasquet struggling with all sorts of injury problems, which was highlighted by a defeat to Robin Haase in Halle last week. If Bernard Tomic is in the mood he could go well here at a big price, but you take your chances always with Bernie and he's [34.0] for a good reason. Guillermo Garcia-Lopez might be a better choice in the top half of the draw or perhaps Edouard Roger-Vasselin, who beat Mahut last week at Queen's and played Dimitrov rough could be a good call too. The bottom half looks a real lottery, with Lopez probably less than energetic after Queen's, number two seed Alexandr Dolgopolov injured and poor on grass anyway, while Sam Querrey is really off colour (perhaps the sea air will re-invigorate him) and Gilles Simon has never really convinced on grass. Gillou did make the final here last year, but he doesn't look a likely winner to me and it might even pay to take a look at Julien Benneteau in his seemingly never ending quest for a tour title. Benny's loss to Victor Estrella looks bad on paper, but he didn't have any time to prepare after winning the French Open doubles title with Roger-Vasselin and he might be a good Cash Out choice at [29.0]. Poor old Benny has had some rough draws on grass in the last few years, with defeats only coming to Roger Federer (twice), Tomic, Lopez and Verdasco (when the latter went on to almost beat Andy Murray at Wimbledon), so Benny's not had the best of luck. He has an injured Yen-Hsun Lu first up and then it's up for grabs in that section, but having hopefully had a week's practice on grass and still boosted by that Paris title could this be Benny's week, finally?